The bra-angel holds one end of your bra in the hook at the end of the adjustable arm. 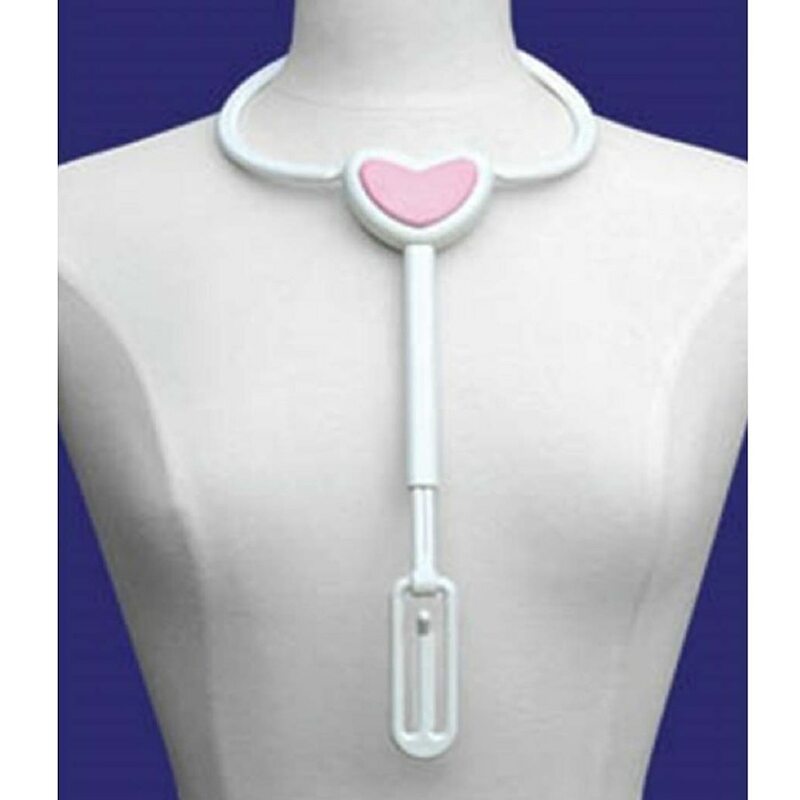 The bra-angel hangs around your neck and is held steady by placing your chin against the heart-shape pad. With the bra-angel in-place and one end of the bra attached to the hook, you can easily pull the other. The bra-angel "gives you a hand" when you need extra help with personal dressing problems!